A traumatic brain injury (TBI) can be disastrous. First, it can be terrible for the brain injury survivor. Second, it can be even worse their wife or husband, parent, child, companion or caregiver. Even a mild traumatic brain injury, such as a concussion, can permanently affect your life. It can make work or school difficult. It can damage your personal relationships. At its worst, a concussion can require long-term care and treatment. Therefore, if you are a survivor of a head injury, or a loved one, we can help. On the other hand, if you have a head or brain injury, you to have a top-rated lawyer fighting for you. Maybe you need to you are wondering how you will pay your bills if you can’t work. Perhaps you worry about your medical bills. Finally, you will worry if you will ever get back to normal again. That’s why Paul Zukerberg and Jonathan Halperin are hear to help. Tell our Washington DC Brain Injury Lawyers what happened in a free case evaluation! If you want to learn more about what you may be facing with a TBI, we can help. 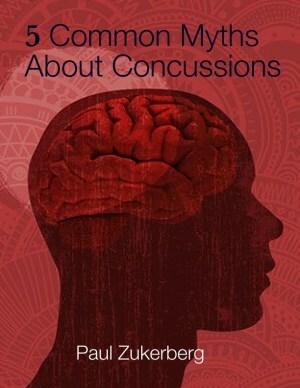 For example, you can read Attorney Paul Zukerberg’s book, 5 Common Myths About Concussions. Because the information can help you understand your situation. First, this book can teach you the right steps to take after an injury. As you know, Paul Zukerberg has been representing clients with head injuries for decades. In summary, the DC personal injury attorneys at Zukerberg & Halperin have been carefully trained to meet the needs of brain injury survivors. So they have the patience to assure that clients receive compassionate they deserve. Call (202) 232-6400 to set up your free, no-obligation case evaluation. Each year, one million Americans are treated in hospital emergency departments for a traumatic brain injury (TBI). Thankfully, most of these injuries are concussions. A “concussion” is just another term for a mild traumatic brain injury. Just like any injury or illness, every concussion must be evaluated. Therefore, a concussion must be treated by a doctor. Symptoms following a concussion can last for minutes, days, weeks, months, or even longer. The coach called it a “zinger,” a “ding,” a “bell ringer,” or a “good clean shot,” but any temporary loss of brain functioning due to a blow to the head is a brain “concussion.” However, concussions can lead to long-lasting, physical, emotional and cognitive problems. Recently enacted laws now require an athlete under the age of 18 be removed from practice or a game after sustaining a concussion. They are not allowed to return until they get a written return-to-play authorization from a doctor. A version of this law is currently being considered by the D.C. City Council. The NFL and Brain Injury Association have strongly advocated its passage in all states. Contrary to popular myth, you do not have to lose consciousness to have a concussion. In fact, 90% of patients who suffer concussions never lose consciousness. Recent medical research shows that amnesia (a loss of memory at the time of the injury), and not loss of consciousness, is the main indicator of concussion. You should always seek medical help promptly if suffering from any of these symptoms following a head injury. Unfortunately, many people don’t understand that even a mild concussion can change the way your brain normally sends and receives information. The human brain contains approximately 100 billion brain cells called neurons, which connect to each other through mechanical and chemical pathways. When these pathways are interrupted following a brain injury, your brain’s ability to process information is degraded. So imagine you are driving on a highway and the road is suddenly blocked. Sure, you can re-route your trip to a different road, but your new route is slower, and your trip will take longer. The brain works the same way. It can compensate for damage to brain cells and disruptions of neural pathways following a concussion, but the re-routing of information will cause your brain to slow down and cognitive functioning will be reduced. Even a mild concussion can permanently affect your life. In addition, it can make work or school difficult. Also, a conclusion can damage your personal relationships. Finally, a conclusion can and require long-term care and treatment. CT scans and MRI’s are wonderful diagnostic tools, but they cannot detect a concussion. In fact, if anything abnormal does show up on a CT or MRI, by definition you don’t have a concussion. You have something much more serious, such as a subdural hematoma or a focal brain lesion. In fact, CT scans and MRI’s can only see large anatomy, approximately a millimeter in size. Any damage smaller than a millimeter won’t show up. But when we talk about brain cells, we are speaking about microns-a millionth of a meter. So one day, scientists will develop imaging technologies that will allow us to see the damage caused to brain cells in a concussion. Until then, a normal MRI or CT Scan does not mean you don’t have a brain injury. In conclusion, every concussion should be evaluated and treated by a doctor. A concussion should never be taken lightly or ignored. You should always seek medical help promptly if suffering from any of these symptoms from a serious injury, particularly a head injury. Would you like to learn more about TBIs straight from Attorney Zukerberg? Call our Washington DC personal injury attorneys at (202) 232-6400 today!